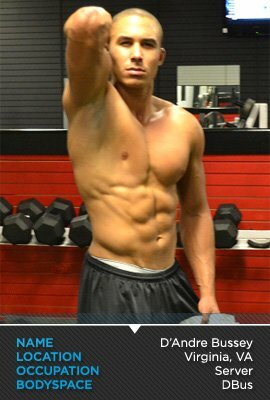 2012 Bodybuilding.com FIT USA Event: See our Top 10 Men and Women Finalists, and vote for your favorites! 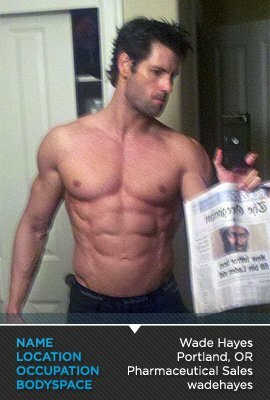 2012 Bodybuilding.com FIT USA Results & Photos! 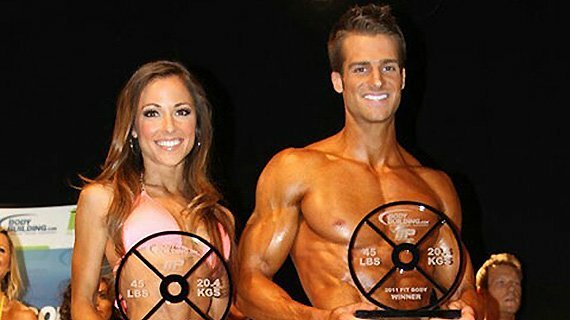 Congratulations to the 2012 Bodybuilding.com FIT USA winners Matthew Sulentic & Elizabeth Brown! See how everyone placed at the 2012 Bodybuilding.com FIT USA competition! See photos from the 2012 Bodybuilding.com FIT USA competition taken by photographers Eric Knape, Levi Bettwieser and Amanda Morgan here! We're rolling out the red carpet, so grab your crew, dress to impress and meet us there! Mingle with the best of the best in the health and fitness industry. A don't miss event at the historic Egyptian Theatre in downtown Boise, ID on June 9th, 2012. All proceeds from ticket sales were donated to The Idaho Foodbank. This event is now over - see you next year! Watch the top fit bodies from around the U.S. compete for over $5,000 in cash and prizes. The top male and female will receive a photo shoot with RatedM (Men's Underwear and Bodywear by Mario Lopez for their website RatedM.com, participate in a Bodybuilding.com photo shoot for a feature in STATUS Fitness magazine, receive a year supply of MusclePharm supplements, and take home $500 cash! Additional prizes for 2nd and 3rd place winners. People's Choice Award — Who Inspires You? Vote now — tell us which man and woman deserves to be this year's People's Choice Award Winner! The winners of the People's Choice Award receive a handsome trophy and a $250 gift certificate to Bodybuilding.com. Meet our finalists below! 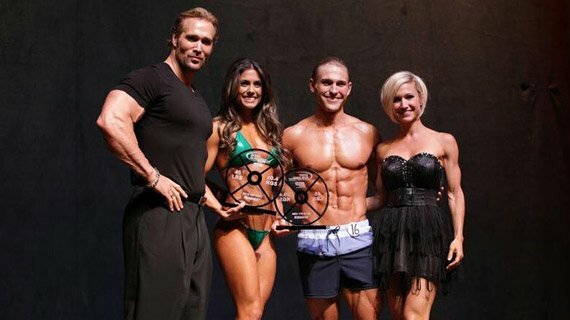 The People's Choice Award winners were announced live at the 2012 FIT USA Event on June 9th, 2012! Amber Orton's mom competed in bodybuilding when she was very young. She loves being fit and active and loves the way she feels about the lifestyle, not just the competition part. She believes she represents a typical young American. She works between 40-60 hours a week and still finds time to compete and make her health a priority. Working out gave Aaron Minegar a huge change in lifestyle. He put the booze and bad food aside and transformed his body by losing almost 30 lbs. He did a 12-week transformation, entered a few competitions and his life started to change. He loves having something healthy to turn to as a hobby. In high school and college, Edina Karabegovic ran track & field, and cross-country. After that, it just became a habit that she couldn't drop. She's overcome quite a few obstacles, not only when it comes to a healthy lifestyle but also in her personal life. This has pushed her to be dedicated and work as hard as she can. Growing up, D'Andre Bussey was very skinny and always liked the idea of being big like his father — he was his hero. He started lifting weights his freshman year of college for baseball. After a serious injury, his dreams of playing baseball got pushed aside. He's now hoping to make his mark in the fitness industry. In the last two years, Elizabeth Jones has decided that pursuing a career in health and fitness is something she has to do. The industry is calling her name, and she feels she would have a lot to bring to the table. Winning this competition would be the ultimate validation that she really can be the person she truly wants to be! Growing up, David Dreas was always active playing sports, but he was a skinny kid! He was fortunate enough to earn a scholarship to play basketball at St. Cloud State University. From that, he was able to learn about strength and conditioning, and it slowly became a passion of his. Growing up, Elizabeth Brown's father always encouraged her to make fitness and health a priority in life. He always made sure she had access to some sort of physical activity. She believes fitness is a lifestyle that requires passion, dedication, strength and determination to reach your true potential. Hakeem Abdul-Saboor has played sports all his life, requiring him to stay in good shape — especially through the injuries. During this time, he developed a love for physical fitness. Now that his college football career has ended, his drive to stay fit has become its strongest yet. Karis Thompson has 2 little girls, a full-time job and still tries to make it to the gym 6 days a week. Having a family, it was difficult at first trying to eat clean, but it became easier knowing her kids should be eating the same way. She believes it's about educating yourself and wanting to live a healthier life for you and your family. Nick Olsen knows what it's like to be overweight and to feel worthless. "I know what it's like to give up on life and let go of my desires and passion, but I turned things around for myself and now I try to help as many people as I can." Nick now focuses on getting overweight people back on track in life through Fitness and Life Coaching. From a very young age, Kyndle Sims' father would take her brother and her to a local gym. She's both a full-time employee and full-time student. She realizes you make time for what is most important to you, so she has always made time to get to the gym or go running, even if it's only for 20 minutes. Matthew Sulentic was introduced to health and fitness as a way to enhance his abilities on the baseball diamond in his six years with the Oakland A's. He quickly realized that health and fitness could also heighten his inner happiness, self-esteem, and overall well-being. Growing up a dancer, Michelle Mozek was able to maintain a pretty good physique, but knew she wanted to take her body to the next level and that required getting into the gym and changing her eating habits! She used to put whatever she wanted in her body and never thought twice about it. Now, however, she finds little ways to treat herself without going overboard. It's all about balance! Nicholas Holt started training to improve for basketball. He didn't have access to a gym, so he sneaked into one! Finally, after a few years of breaking into the local gym, his parents gave in and purchased a membership for him, so he wouldn't get into trouble. The rest is just passion, obsession, dedication and truth. As a nurse, Nichole Goergen wants to give her patients a concrete role model and practice what she preaches. She has fallen in love with the blessings she's received from people who thank her for being an inspiration to them. She wants to be a strong witness to everyone around her. Her personal drive and faith in God is what keeps her strong and disciplined. Paul Tomko ended up gaining just over 50 lbs of lean body mass over the course of his 4 undergraduate years. As a relatively new lifter, his strength and size gains came relatively quickly. He strives every day to maintain a good balance between his health and fitness goals, his career, and his relationships with family and friends. Health & fitness play a key role in Samantha Leete's life. She loves the industry and is becoming more and more involved each day. Being a coach has led her to inspire others through example, including other coaches, the girls, and their parents. Sorin Craciunescu is a great example of what 'fit' means, not just by preparing for a competition, but by living it daily as a lifestyle. He understands that being fit encompasses more than just a good looking body, but an overall balance in all areas of health including: mental, spiritual, emotional and physical. Sierra Merchant wanted to make a change after her second child was born, and has never looked back since! She loves being a role model to mothers, letting them know you really can achieve whatever body it is you seek with proper nutrition and living a healthy lifestyle! Wade Hayes was a collegiate football and track athlete at WSU. He is proof that with proper exercise and nutrition, a 40-year old can look 30 and still school the 25-year-olds on the basketball court. The hardest obstacle is balancing his time between work, girlfriend, friends, gym and (of course) the dog! How did we decide on the top 20 fit bodies in the USA? Learn all about this year's competition. Check out last year's event and winners Scott Dorn and Courtney Prather! 2011 Bodybuilding.com FIT BODY Winners Scott Dorn & Courtney Prather. To learn more about Scott and Courtney, check out Scott's BodySpace Profile & Courtney's BodySpace Profile. The FIT USA Competition finals event is part of the larger 2012 Bodybuilding.com Fitness Expo!